Nonin Medical’s ipod® combines the oximeter and sensor in one external, self-contained unit. The ipod® is a high-class sensor for non-invasive measuring of the pulse and the level of blood oxygenation with a teletransmission function. The ipod® is intended to work with ViTel Net’s telehealth and home/remote monitoring systems. Single Piece Oximeter and sensor in one! Provides up to a minimum of 20 single point measurements. 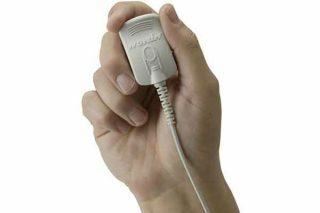 SmartPoint Technology eliminates the guesswork of determining which oximetry values to use for analysis.